The 2011 WNBA season is the 15th season of the Women’s National Basketball Association. The regular season began on June 3 with the Los Angeles Sparks hosting the Minnesota Lynx, featuring 2011 WNBA Draft top pick Maya Moore, in a game televised on NBA TV. Four games followed the next day, with the marquee matchup, televised on ABC, featuring the defending champion Seattle Storm and the Phoenix Mercury in Seattle. The Minnesota Lynx finished the regular season with the best record in the league at 27-7, and were the top seed in the Western Conference. 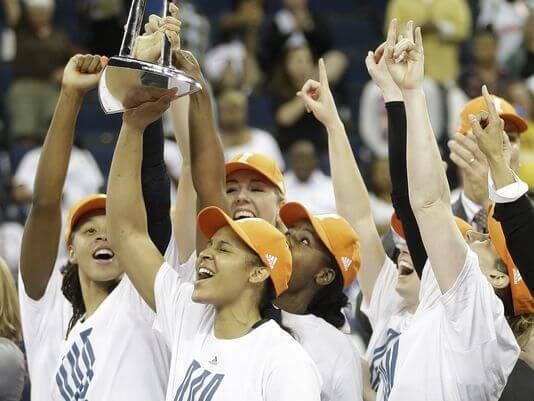 The Indiana Fever were the top seed in the Eastern Conference. The Lynx ultimately advanced to face the Atlanta Dream in the 2011 WNBA Finals.